My wife's and I had our biometric the same day - on 25-Apr-2017 . How ever My wife's application status shows - "In line for interview"
where are my status shows - " Fingerprint Appointment Was Scheduled" - wondering why these totally different status for biometric done together . In case if it happened , can we re-schedule the interview ? Both the applications are processed separately. It seems like all the processing for your wife's application is done and case is sent to local USCIS field office for scheduling the interview whereas your case seems to be waiting for some processing to complete (mostly background check). You can go to local field office to change the interview date. Whether your case comes to interview prior Aug 25, 2017 is mere question of how your local USCIS field office is doing in terms of processing times. Some field offices are very slow and backlogged for up to 8 to 10 months now whereas some are processing cases within 3 months. 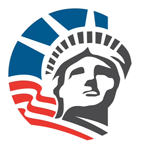 Check USCIS processing times report of your local USCIS field office. One word of caution, what I have observed that some field offices are processing cases which are 1 to 2 months ahead than the actual posted processing times, so plan accordingly.